¿WANT TO MEET GCK TEAM? As every year since the CatalunyaRX we propose to offer our visitors unique and unforgettable experiences, and facing this 2019 we are not going to lower the bar. 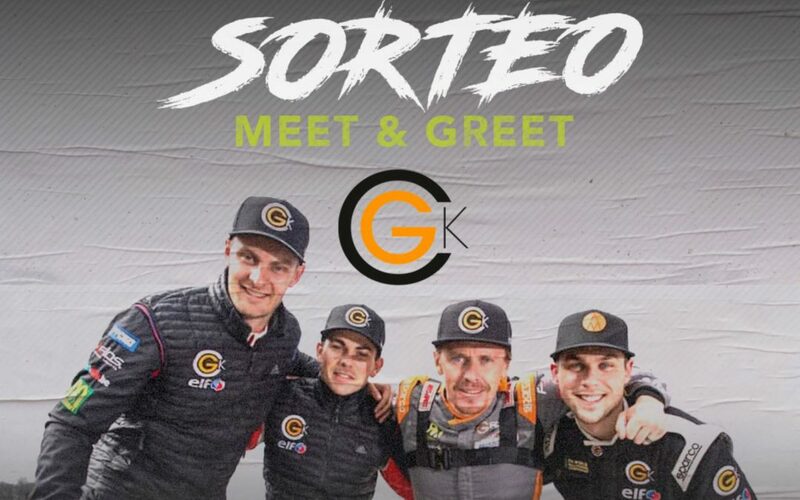 Two lucky people will be able to enjoy together with a companion of the meet & greet experience with the GCK team in the paddock of the Circuit de Barcelona-Catalunya. GCK is one of the teams with the most potential and talent on the grid of the FIA ​​World Rallycross Championship and aims to win it all this season. Guerlain Chicherit and Anton Marklund are the headliners of a team that has expanded its number of drivers in the Supercar WorldRX category to 4, after announcing the creation of the GCK Academy. The young French talent Cyril Raymond and the Belgian Guillaume de Ridder close the 2 extra spots of the French team. The participation period will be open until Sunday, April 7, included. Remember April 27 and 28 you have an appointment with CatalunyaRX at the Circuit de Barcelona-Catalunya.